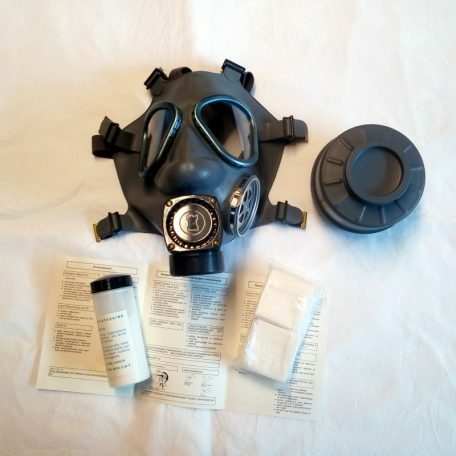 The M61 Finnish gas mask manufactured by Nokia since the 1960s up to the 1971. 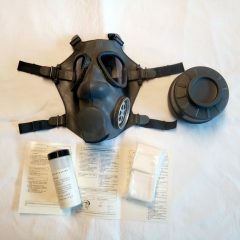 It was the standard issue gas mask for the Finnish Defense Forces. It is a side loading mask (meaning the filter attaches to the side), and takes 60mm threaded filters. 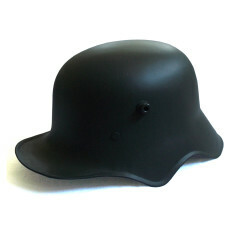 With black plastic exhalation assembly incorporating speech diaphragm and the watchtower symbol of the Finnish defence forces. 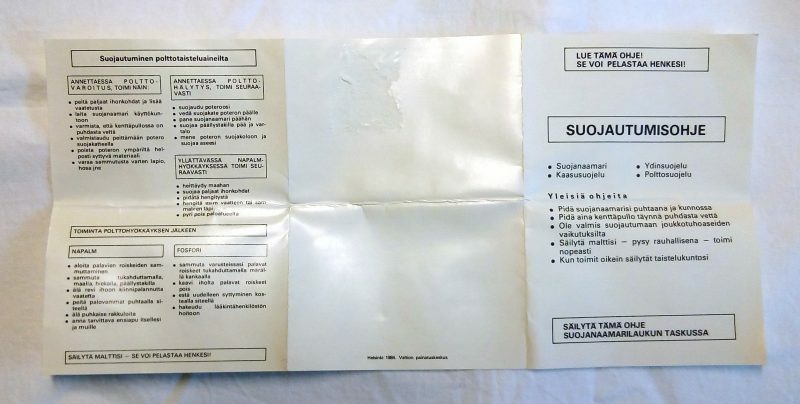 Finnish gas masks have fully adjustable straps. 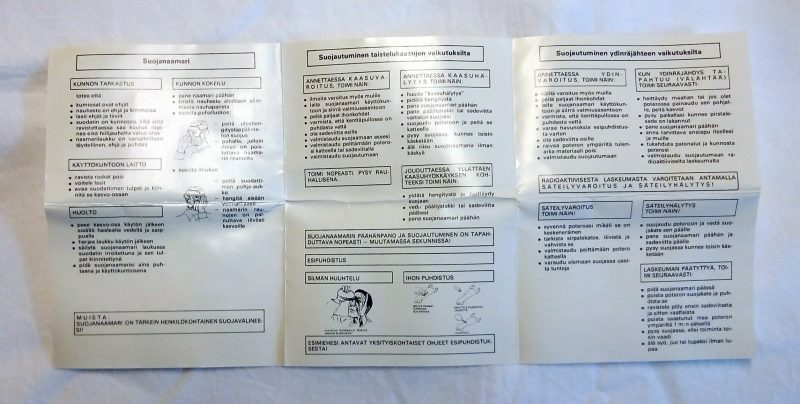 They come with Finnish language instructions, filter, powder and swabs. 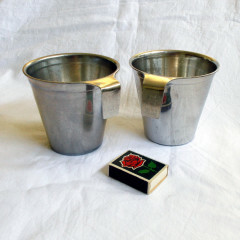 These are sold as collectors items only and are NOT REFUNDABLE. Wildward is not responsible for any customs seizures and will not issue refunds if your order is seized. It is your responsibility to check if this item is allowed to be sent to your country. Wildward does NOT warranty any surplus gas mask to protect the wearer from ANY kind of nuclear, biological, or chemical agent of ANY kind. These are sold as collectors items only. 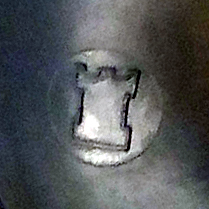 Stamped into leather at buckle end “INT39” meaning it was made for the army in 1939. 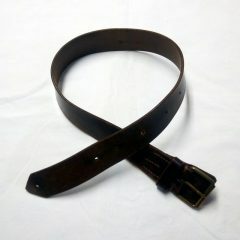 Childs belt?? We really don’t know if it was made this way or adjusted later. With rubber exhalation assembly and the Nokia logo. Capacity approx 300ml. 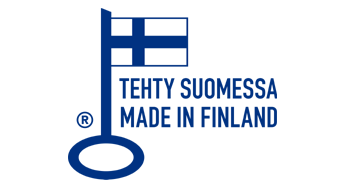 Each mug has Finnish army markings. These are surplus items and show signs of use. Sale is per each mug. *Matchbox for scale only. Not included in sale. 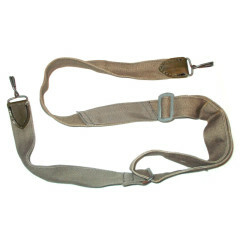 Rare, genuine WW2 era Finnish bread bag shoulder straps. Complete with “steel wire hooks” and made from wartime fabric. Look virtually unused and in excellent condition. Price per strap. 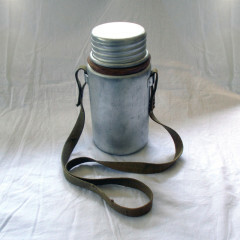 Post-war (probably) Finnish army soup can.